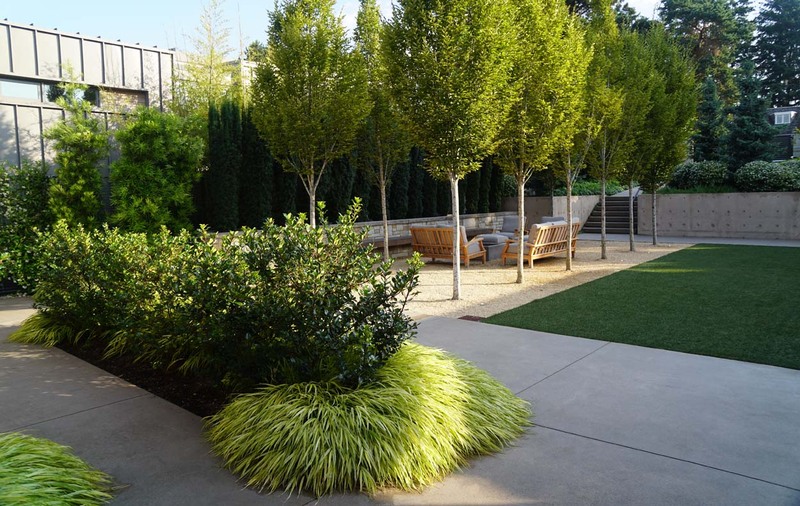 Inspired by old world, European garden style, yet using a modern vernacular, this landscape welcomes a stroll and conversation. 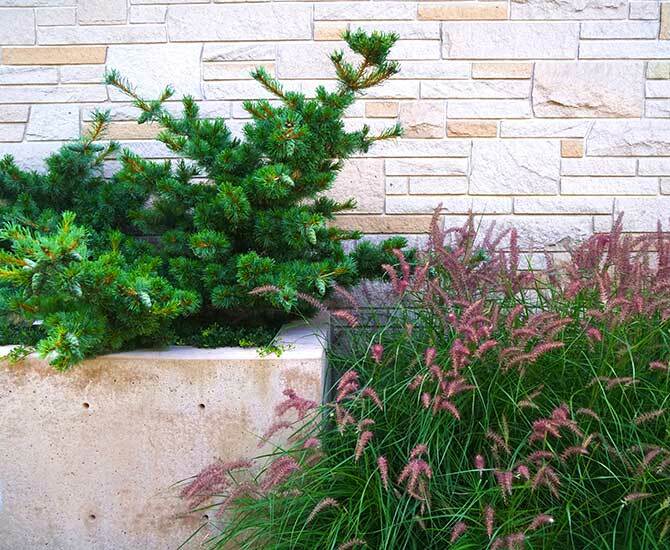 Color is carefully orchestrated amongst a sandstone façade, grasses, crushed granite, and concrete. 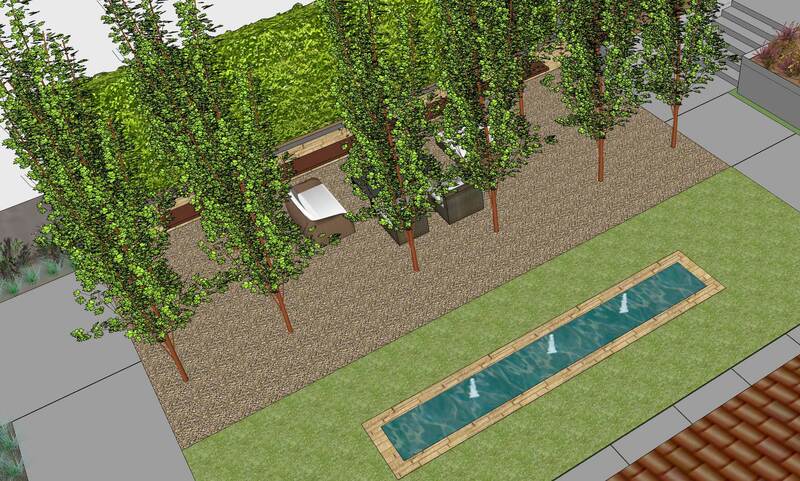 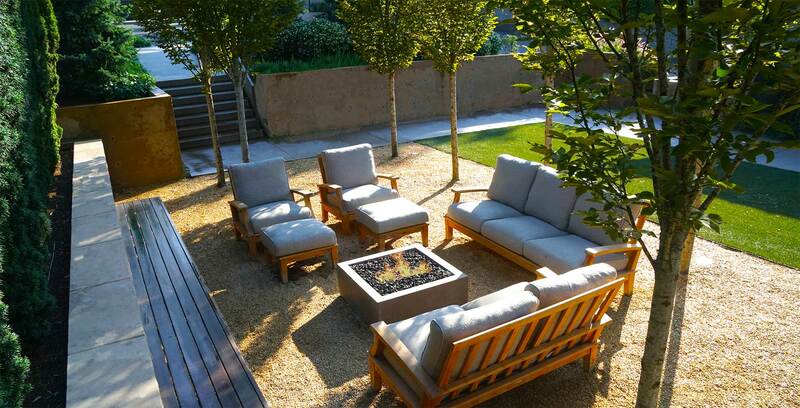 A formal allée of Hornbeam trees embraces a conversation terrace. 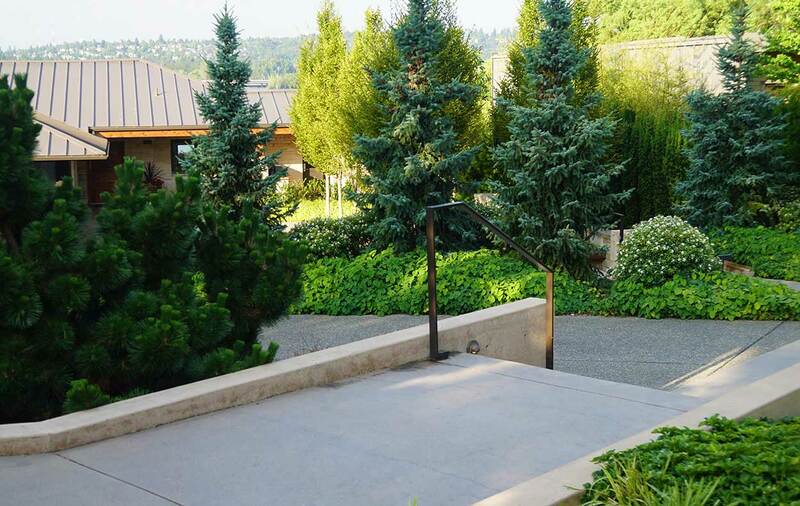 Complimentary evergreens add grace and elegance.